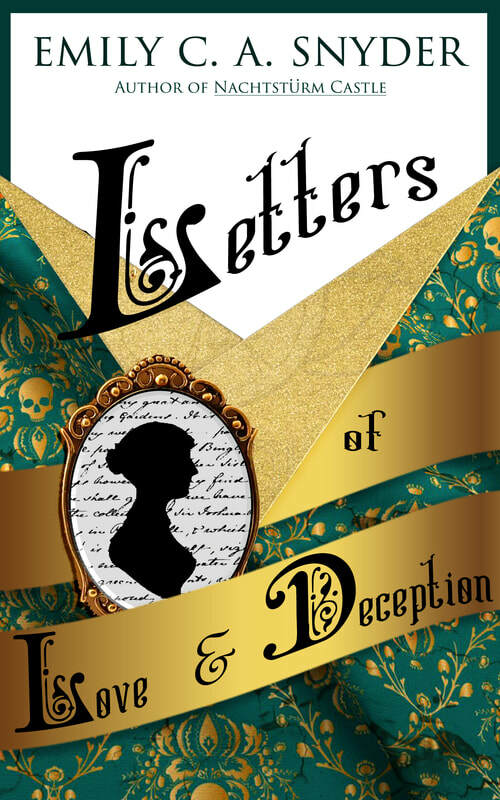 Letters of Love & Deception is a collection of short stories within Jane Austen's world. What if...all of Austen's villains met on a dark and stormy night? Why is Miss Bates still single? Did Captain Wentworth ever write Anne before he went off to sea? What plots were lurking behind the smile of Bath in Persuasion? And the most pressing question...is Miss Bingley a vampire? 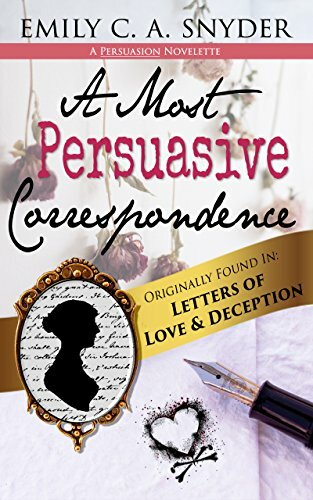 With enough treats, behind the scenes, and "what if's" to please any Jane Austen fan, Letters of Love & Deception is sure to make you swoon and giggle while you sip chocolate and snuggle beneath the counterpane. ORDER Letters of Love & Deception now! Now you can purchase three of the short stories on their own for only $0.99! A Most Persuasive Correspondence - What were the villains planning behind the backs of our heroes during the events of Persuasion? 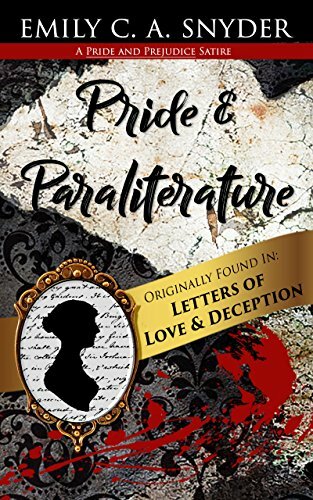 Pride and Paraliterature - Mr. Darcy dispatches of vampires with ease. But how does he fare against the amorous Caroline Bingley? 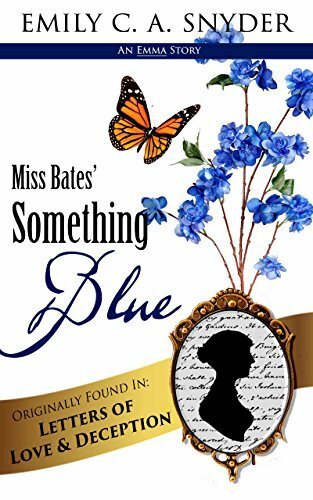 Miss Bates' Something Blue - On the evening of her niece's wedding, Miss Bates from Emma remembers her own lost love. "Moonlight! Castles! Ghosts! Storms! Secret trap doors! Suicide! Grave yards! Mistaken Identities! Carriage accidents! Gypsies! Hauntings! A kidnapping! Purloined letters! A duel! Swooning! Wild Pursuits! Demonic possession! A disputed inheritance! Three romances! A ransacking! Ancient curses! A stolen will and testament! Dank subterranean passageways! 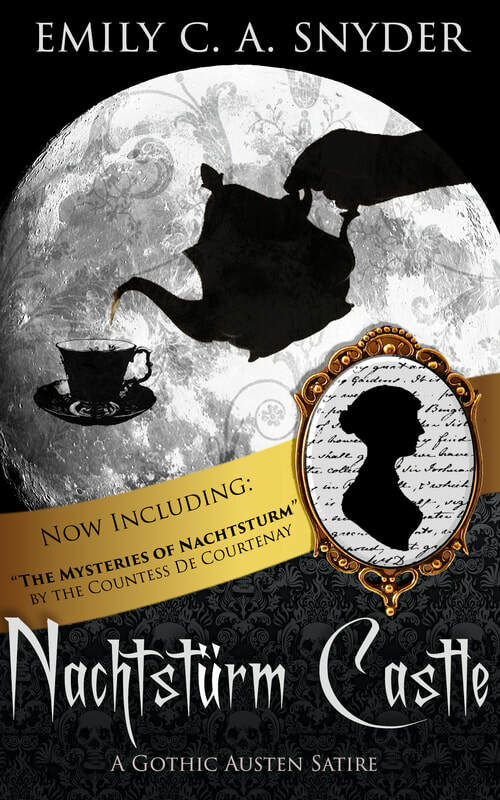 "Multi-talented Emily C. A. Snyder has managed to pack the above list (and more) into Nachtstürm Castle, a sophisticated Gothic fantasy sequel, taking up the further adventures of Henry and Catherine Tilney where our divine Miss Austen finished the last lines of Northanger Abbey." Listen to an exclusive sneak peek at the prelude to the novel, as read by Suzanne T. Fortin! Enjoy the full text of Cupid and Psyche in its "Bad Quarto" form, with annotations, footnotes, and even behind-the-scenes glimpses into a modern author writing in blank verse. Debut novel. The Princess Niamh is so glorious fair that none can look on her without going mad. Enter a monstrous Hermit searching for his own redemption. 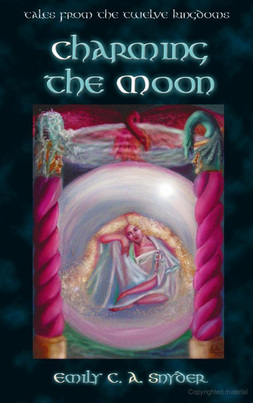 Two short stories about the restoration of the Sun and the Moon to the Twelve Kingdoms. The Second Edition is no longer in print...but the Third Edition is! Catherine Tilney of Jane Austen's Northanger Abbey is ready to settle down into a quiet, distinctly non-adventurous life. But when her husband, Henry, suggests taking a delayed honeymoon in the Austrian Alps, things become Gothic very quickly indeed! Look for a reissue on Kindle just in time for Valentine's Day 2018! From glimpses into the corners of Austen's beloved secondary characters, to pastiches imagining all of her villains together on a dark and stormy night - and even a final gentle poke at the Pride and Prejudice and Zombies sub-genre, this series of Austenesque short stories is sure to delight! 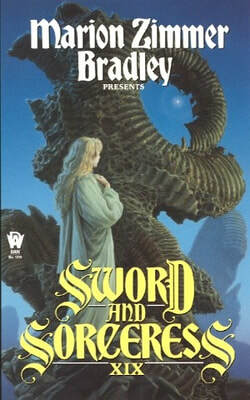 I remember the day I received an email requesting submissions for the latest Sword and Sorceress anthology. I had just had my first publication (see below), and immediately ignored my desk job and whipped up the story: "Better Seen Than Heard:"
A princess on an ambassadorial trip is cursed with muteness. Being clever, she finds her way around the curse by writing. However, it turns out that she's not the only one trying to outwit the villain! The story is set, ostensibly, in one of my major worlds of Arianja, and many of the nations and places have found their way into my more serious work. This is a bit of fun, and I'm grateful to MZB for giving new writers a chance. 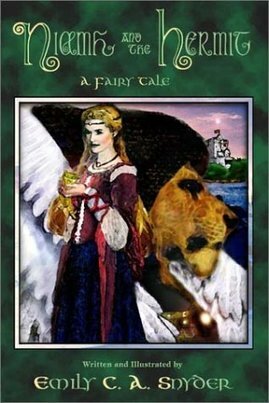 Read "If We Shadows Have Offended"
It took quite a few rejections when I first started submitting before Marion Zimmer Bradley's Fantasy Magazine finally took a chance on one of my short stories (below). The story won first place for that issue, and a year later I was invited to submit for the Sword and Sorcery Anthology - which earned me my second publication. After that, it was a matter of 1) writing something and 2) persistently and patiently sending it to the right people in order to get published. The magazine has gone the way of all paper now, but just for fun you can read it in full below. Enjoy!